D. H. Lawrence novels depict men and women characters in a broad based theory. As a genre of literature, the novel has always been reflecting life in part or in its entirety. It has never been more so than in the 20th and 21st centuries, as a powerful mouth piece of human feelings and emotions. D. H. Lawrence is a novelist, short story writer, poet and essayist. D. H. Lawrence is known for his frequently misunderstood, basically idealistic ideas about sexual relation and for his interest in primitive religion nature and mysticism. Samskara spins around the moral dilemma and anxiety of a traditionalist, Praneshacharya, in taking a decision on whether it is technically rights to perform the funeral rites for a person born in the Brahmin community but an outcast in his character and behaviour, or not. Amidst making a decision, the unexpected physical union with Chandri, Naranappa’s concubine, further complicates the issue. 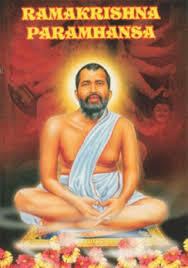 This in fact leads to an inner rebellion that tosses Praneshacharya’s mind this way and that. However, he regains his equanimity and find an orientation to his life by carefully making a decision. The plot of the novel has a parallel to the lives of the other Brahmins in the Ghetto. 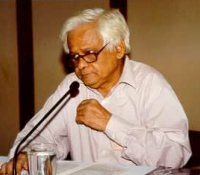 Arun Joshi is one of the prolific Indian writers to discuss dilemma and rootlessness of his heros in the conflicting socio-cultural environment of their societies. The novel, The Last Labyrinth, due to it's execution of fantasy of sensual and spiritual, gives the readers a fantastic experience of reality. The image of labyrinth is both ancient and modern concept which literally means the intricate and convoluted paths that usually make the intruder confused and bewildered. 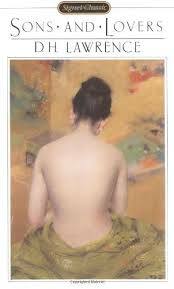 In Joshi's sense, it is a sense of loneliness, confusion and a feeling of being trapped. The protagonist, Som Bhaskar, who is lonely, estranged and isolated is obsessed with various forms of labyrinth. Strangely, he suffers from disappointment, an ambiguous frustration, inadequacies and emptiness which he call 'voids'. In fact, the image of a labyrinth in the novel is closely associated with Som Bhasker, his world and his unsuccessful attempts to disentangle the secretes of life, love, death and divinity. The novel assumes more a fantastic dimension in Som Bhasker's communication with an antique women, Anuradha at Lal Haveli, a feudal like mansion in Benaras. But his fantasy for Anuradha becomes a reality with her disappearance leaving him engrossing on the futility of human situation. 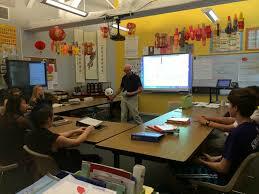 There are many theories on English as second language teaching or foreign language teaching. 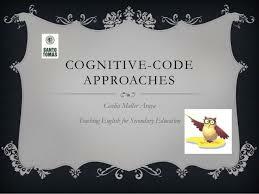 The cognitive-code approach of the 1970s emphasized that language learning involved active mental processes. Lessons focused on learning grammatical structures but the cognitive code approach emphasized the importance of meaningful practice, and the structures were presented inductively, i.e. the rules came after exposure to examples. There was, however, little use of examples from authentic material. 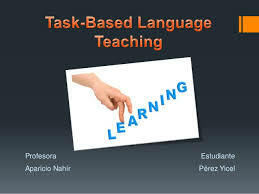 Key words: ESL, meaningful practice, grammatical structures ....etc. Self-reflexivity is the way of looking on or indicating the relationship of oneself. The works of Arun Joshi is the reflection of his life and culture in India where no one forget the inheritance of his mother nation. All novels of Joshi are replete with the love and the attachments of once own country and its cultures. The characterisation of his works is purely indulged in the Indian ethos. Joshi has portrayed the real life of his own country in his works which we can see in the attitudes of characters and their actions in the different sphere of lives. Arun Joshi lived abroad but mentally he is here in the mother land and at the same time he has developed in his work and infused the same language in the characterisations of his novels. An Indian never forgets his/her mother land and he/she never loses attachment of culture and language. We can assess the situation in which the central character of The Foreigner namely Sindi Oberi and the Billy Biswas in The Strange Case of Billy Biswas. 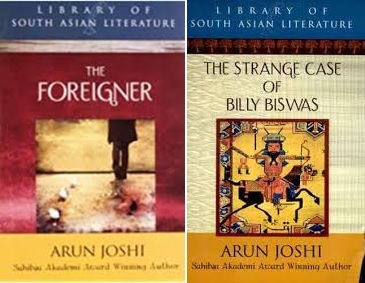 The self-reflection in the characters of Arun Joshi’s novels give enough proof of social and cultural society of India. There are various things by which we can identify through their conditional recognition. Joshi has put everything that the life is possible only in peaceful and contented way, which we don’t find in the congested society but in the prosperous and suitable society like India. Joshi has shown that India has rich cultural and social values in its ancient era that’s why he has portrait the interest of primitiveness in the character of Billy Biswas. Joshi has also presented another view of prosperous and satisfied in his own society which is enough proof given in the characterisations of novels like The Foreigner and The Strange Case of Billy Biswas. The purpose of this research paper is to prove that Arun Joshi has depicted the civil society of his own country. This paper will give a new insight to the readers about the untouched parts of these novels. Keywords. Reflection, inheritance, portrayed, action, cultural, social, characterisation, country and untouched. In the 21 st century, as in the 1980 and 1990, culture has become mixed, hybrid all over the world. Access to the internet has made it possible to see events taking place immediately. Satellite dishes, cable connections, have bridged both time and space one can see the events happening in the world sitting in his drawing room alive. What I emphasize here, is that culturally the countries of the world are getting closer and united. Translation has been described variously by several scholars in different ways. Theodore Savory defines, Translation is an ‘Art’ and Eric Jackbson says it is as “Craft”. J.C. Catford suggested. “Translation is an operation performed a language, a process of substituting a text in one language for a next in another that is form source language to target language. 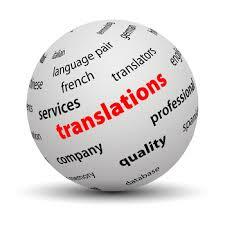 The translator has to make a balance between maintains close fidelity to the original. Translation is neither “Transliteration” nor “Transcreation”. 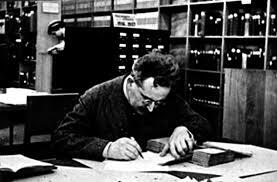 The importance of translation lies in the fact that it brings the readers writers, and critics, of one nation into contact with those of others not only in the field of literature alone but in all areas of development: science and medicine, philosophy and religion, medicine and so on. Thus, translation helps in the cause of nation building. So let us tee the flow translation is important in modern 21 century. Key Words: - Transliteration, Transcreation, Post- Modernism, Comparative Literature, Multi culturalism, Intertextuality, Bhakti movement etc. It has been observed that the students of Telugu medium at the UG level always face communication problems in both the vernacular and English. The problems, moreover, are not restricted to only the oral component; their writing skills are also equally poor. As a result, the performance of these students in academic and other co-curricular activities is well below average which eventually mars their employability chances. 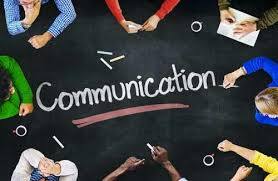 In the present scenario, thus, communication skills, in both written and oral forms, hold the key for securing better jobs and carving out successful careers and general need for global communication is even more. The very basic medium of communication, i.e. languages, has remained largely ignored in comparison with the specialized subject areas in all types of syllabi at the UG level. Teaching English as a Foreign Language (ELT). 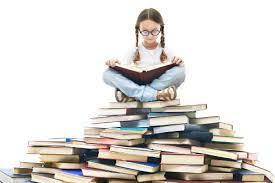 Reading is a process of looking at a written or printed symbol and translating it into an appropriate sound. The reading consist of three elements- the symbol, the sound and the sense. The ability of the student’s studying IV in chettinayakan patty. Government school in dindigul. The language ability and strategies while in reading skill is moderate when comparing to Gandhiji memorial middle school (government) in dindigul. 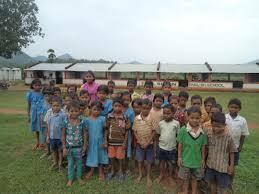 In both government school the students reading skill is very low in starting stage. To read the word, sentence or paragraph without making mistakes in reading can be developed by this audio devices or audio visual devices. This can be helpful to read the passage with the accurate reading skill. Later by doing the vocabulary practice, phonetic, stress, tone and intonation. The students reading ability is better when compared to the first day. This process will be proved. 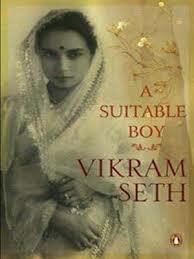 Vikram Seth’s novel, A Suitable Boy has some themes such us, The Suitable Boy, Religious Intolerance, Love and Marriage. A Suitable Boy is the story of four families in India in the early 1950s after British occupation has ended and the India/Pakistan Partition has taken place. 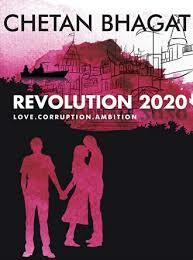 The novel insists to recognize a positive point under the Indian culture of racial castes and arranged marriages. A great agreement of attempt is put into vision on the part of a family to discover a suitable boy for their unmarried daughters. Indian girls gain more independence like going out shopping in small groups of friends and attending university curriculum there occur a clash between many girls and their families above the plan of an arranged marriage. The novel contains a great many political intrigues that are difficult to follow and would be uninteresting were it not for the fact that various family members are involved in the action. Key Words: Intolerance, partition, intrigues. Bharati Mukhrejee, Indian-born American novelist and short-story writer whose work replicate Indian culture and immigrant experience. Mukherjee’s work features not only cultural clashes but undercurrents of violence. The Holder of the World centers on immigrants in the United States who are from developing countries. The latter tells of a modern American woman drawn in to the life of a puritan antecedent who ran off with a Hindu raja. Rather, she considers her work a celebration of her emotions, and herself a writer of the Indian Diaspora who appreciates the dissolve pot of America. The present paper examines Hannah’s relationship remedy in The Holder of the World. Her main theme throughout her writing converse the conditions of Asian immigrants in North America, with particular attention to the changes taking place in South Asian women in a new world. While the characters in all her works are aware of the brutalities and violence that surround them and are often persecuted by various forms of social intimidation, she generally draws them as survivors. Mukherjee has been praised for her modest prose style and her ironic plot developments and witty observations. Life of Pi novel by Yarnn Martel. This novel concerned with struggling to survive through seemingly impossible prospects. In this story a boy endures an extraordinary long period at sea with man eating tiger on the boat .In here one could find a courageous struggle with faith and reason, and the reasons are portrayed by the author for survive is merely acceptable. And the basic theme of individual survival could find in Daniel Defoe’s Rabinson crusoe. In this novel an individual man who spends many years in an isolated island. The protagonists of these two plays get changes in their attitude fear to hope because of their strength to survive, this extremely shows that anyone will often do extraordinary, unexpected, and sometimes heroic things to survive. 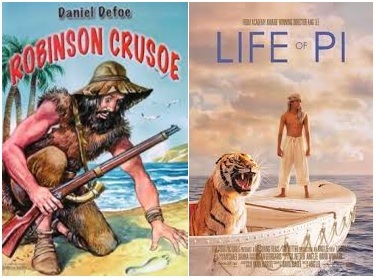 This paper is going to compare the self survival and the astonishing adventures of the two characters of the two novel Life of Pi and Rabinson Crusoe. 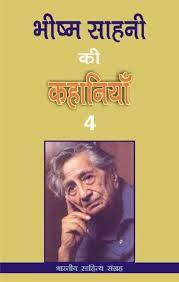 Mulk Raj Anand is one of the three great Indian writers of fiction writing in English. He is India’s most controversial novelist. He was born in Pesawar, now in Pakistan, but then in the North-West Frontier Province of India. An important aspect of Anand’s fiction is its concern with the reality of organized evil. In all his novels he appears as a social critic. The society he has seen and observed is the field of his work. His writings probe deeply into the social process. For him ‘literature is an expression of society’ and the large majority of the questions raised by him are social questions: questions of tradition and convention, norms and genres symbols and myth. 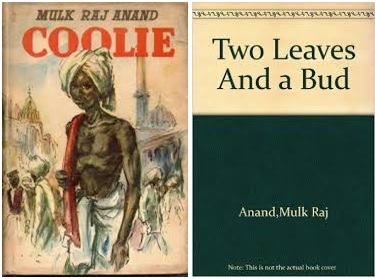 Anand’s two novels Coolie and Two Leaves and a Bud deals with the problem of poverty which is an evil in the whole human society, particularly more in India. Gangu, the protagonist, represents the labor class, and Munoo, he suffers the same fate of maltreatment and mortification everywhere. Anand’s hero’s arouse pity, compassion and understanding in the end. Anand idealizes the whole man as he has said that his media as a writer were “the memory and imagination” and the substance of his work became “the whole man and the whole gamut of human relationship, rather one single part of it.” Hence man alone can fashion forth his happy world free from superstition, bigotry, caste, class, capitalism, exploitation, tyranny, fascism, war, genocide etc. which make mankind miserable. This will help man to acquire a true vision for rescuing humanity from disaster. Listening, the very basic language skill is consistently interrelated and intervened with the other language skills - speaking, reading and writing. The challenges towards teaching listening are now better understood because of the new strategies contributing to effective listening and moreover the widespread availability of technology supports the language learners in enhancing their listening skills. Still, the assessment of their listening skills, remain far behind the current views of listening and hence innovations to be made to renovate the teaching or learning of listening. This paper deals with the prime importance of listening in language acquisition and the challenges in attaining listening competence and suggests some strategies to overcome it. Second language listening is a complex process, crucial in the development of second language competence. Listeners use both bottom-up processers and top-down processes to comprehend. Knowing the context of a listening text and the purpose for listening greatly reduces the burden. Teachers can help students develop sound strategies through a process approach to teaching Language listening. This will help students learn how to listen and develop the metacognitive knowledge and strategies crucial to success. Kishwar Desai, an Indian born writer, born in the year of 1956 in Punjab. She is a columnist and she has worked in some televisions. She has started her career as a print journalist and a political reporter. She writes about women’s background in the modern society. 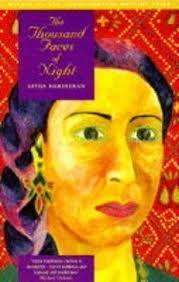 In her novels she has given more significance to the female character. She has given her own thoughts through her Heroine Simran Singh. Simran has different roles in her too many novels. Her latest novel, The Sea of Innocence has just been published in India and will shortly be published in UK and Australia. Kishwar Desai’s “Fiction gives you a bit of leeway”. 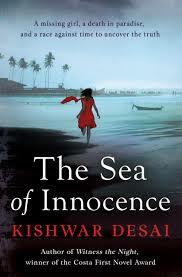 This paper examine about A Looming Darkness of a young girl’s life in Desai’s novel, The Sea of Innocence. Simran Singh, the frequent narrator-heroine of Kishwar Desai’s mystery novels, is an unusual mixture. 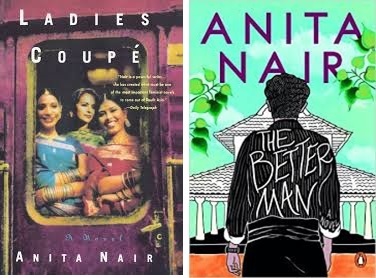 Anita Nair’s ‘The Better man and Ladies Coupe’ both these two novels denote the same subject of Self-Esteem. Mukundan is the central character of this novel. Mukundan appears to be an escapist who run away from his responsibilities. He was frightened of the society. Mukundan is eight years old the bond between father and son does not develop. It has become inferior. Achuthan Nair chooses to settle in Kaikurussi after leave his job. He was required to survive in his village. But he wants to run away from his house by obtain the job of clerk in Trichy. In his native village there he meets a poor ‘One screw loose Bhasi’a house painter. 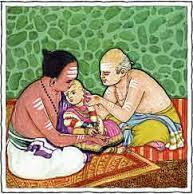 Mukundan helps to Base to pick up his land from the Power House Ramakrishnan. Bhasi is the man who helps Mukundan to Later he was distinguish that his village is to become the equitable place for his future. Understand his self-esteem. 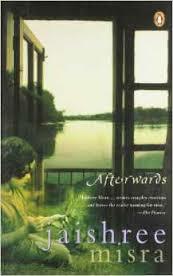 Anita Nair’s second novel “Ladies Coupe”, Akhilandeswari is the most significant role of this novel. Akhila is the forty –five years old, single, and working as a clerk has been brought up in a Conservative Brahmin family. She sacrifices her life for her family, and she did not have any pleasure, aspiration in her life. On her way to Kanyakumari there she meets five different women characters, and both of them to sharing their stories with each other. The rain journey actually the indicate a journey absent from family and responsibilities ad a journey that will eventually compose the aware of the self-esteem. Amitav Ghosh declares that ongoing human history is the subject of his writing and the immigrant writer is a post expression the lives in progress. 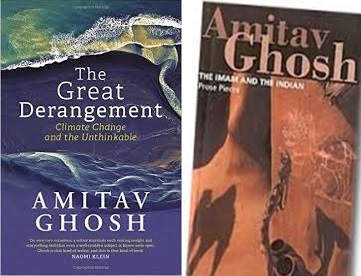 Amitav Ghosh crafted another fascinating and ambitious novel, The Hungry Tide , about a place that remains remote and exotic to many readers and about a community of people who live on the periphery of the Indian subconscious, the dispossessed of the tide country. Displacement, in Ghosh has led to alienation and a search for search. He moves from nostaligia to follow on changing Identities and establishing new relationships. His protagonists face a Multi-cultural Society and exhibit a deep awareness of the surrounding them. While portraying the theme of cultural dilemmas and dislocation of the migrants, Ghosh did not remain confined to the dislocations of migrants in foreign lands alone. Motherhood and mothering is a recurring problematic in the recent minority and feminist theories. The surge of critical text such as Nancy Chodorow’s Reproduction of Mothering (1978), Adrienne Rich’s of woman Born: Motherhood as institution and experience (1976), Marienne Hirch’s The Mother/Daughter plot: Narrative, Psychoanalysis, Feminism (1989), Susan Rubin Suleiman’s “who one is”. Encounters with contemporary Art and Literature (1994), and Susanne Danuta Walters lives together/world Apart (1992) testify indubitablly to the growing inteest in the study of motherhood. Recent psychoanalytic, sociollogical, and feminist perspectives have proved most useful in analyzing the representations of motherhood. Growing up in a working-class household in the 1950s, historian Carolyn steedman revealed that her mother’s economic problems and the absence of husband made her recentful and exasperated with motherhood and therefore, chodorow’s traditional nurtuting role model. Joseph cautions against viewing conceptions of motherhood and mother-daughter relationships, from white feminist psychoanalytic theoretical perspectives. Further, she suggests that motherhood and mother daughter reationships can be best discussed within the context of history and cultural difference instead of through an isolated analysis. Mother and child relationship that have strongly influenced the existing perceptions of motherhood. Vikram Seth (born June 20,1952) is an Indian poet, novelists, travel writer, librettist, childern's writer, biographer and memorists. 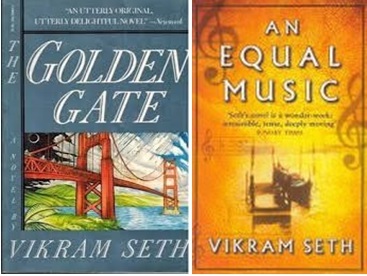 His novels are The Golden Gate, A Suitable Boy, An Equal Music and The Arion and Dolphin. The Golden Gate and An Equal Music, both of these novels present the same argument as the Love and Marriage. The Golden Gate revolves round the frequent human search for love, affection and a sense of belong. An Equal Music present the theme of love and marriage and its connotation in man's life. In the novels lovers are alienated and end in catastrophe. HOW TO DESIGN A LANGUAGE CLASS ROOM? In early days there was no building for schools. They were following their Guru where ever he moves. So they learned the realities to lead their life from nature. Later education was meant only for privileged high-class people. Nowadays education is brought under a building, either arranged separately or according to their course. They were arrested in a room for a certain period which they name as the school. The structure of a classroom should be changed as students feel they are not free and are bonded like prisoners. Classroom system should have more air and lighting with differently structured seating arrangements. This paper deals with how a language classroom should be designed. Drama being an audiovisual medium of expression has been a very effective and powerful genre in the world literature. Indian Drama has development of drama from Greece, Roman, England and India give special importance upon the fact that is has always been an included as part of a whole culture, highlighting and value of moral commitments, religious convictions, philosophical approaches, and social and political changes in various countries. The origin of Indian drama can thus be traced back to the Vedic period. The long history of thousand years, Indian drama is a unique phenomenon in the literary world. The nature of English drama changed once again, from being other art from the European life style, to put on display Indian culture and tradition and spread the ideas of freedom, and after independence it is being a broader representation of the social political and economic life of the country. Girish karnad is the most celebrated media personality in the contemporary India, most important playwright and a very skilled practioner of the performing arts. His drama are mostly written in kannada and then decoded into other languages. The English translations of his plays are his own. 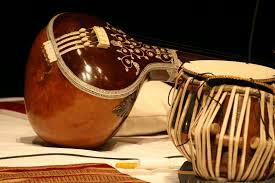 He has enhanced the Indian fictional scene by his involvement to art, culture, theatre and play. But the most essential contribution which he has made to Indian English drama is his effort to get back the cultural and mythological rich tradition of the Indian past. In his plays we find that he goes back to the roots and tries to renew the local culture and tradition. India is a post-colonial nation having its own distinctive culture and colonial histories. It is also multicultural in character in that it has a strong presence of indigenous traditions, culture and ethos which are unfortunately submerged and dominated by the imported culture of Europe. 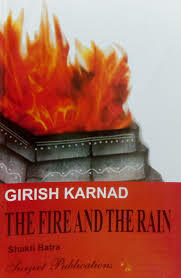 Girish karnad is one such dramatist who makes an attempt to recover the treasure of culture and tradition. As we all know that the development of English Language as a separate idiom began when Germanic tribes- Jutes, Saxons and Angles, occupied the low-lands of Great Britain and when the invasions from the continent discontinued (449-700). The dialects spoken by the settlers in England belonged to the Great Germanic (Proto-Teutonic) branch of the Indo-European language family. 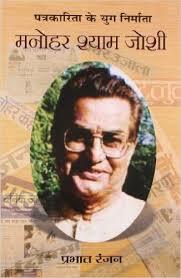 Govind Purushottam Deshpande (1938-2013) was a Marathi playwright and academician. He used to teach at the center for East Asian Studies at the Jawaharlal Nehru University, New Delhi. 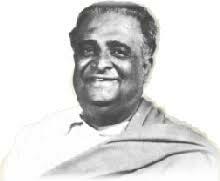 He was conferred with the Sangeet Natak Akademy Award for playwright in 1996 and honoured by Maharashtra State Award for collective work in 1977. He also edited a book of anthology of Indian dramas in translation, Modern Indian Drama published by Sahitya Akademy in 2004. John Maxwell Coetzee is a South African novelist and a winner of the Noble Prize for Literature in 2003. He is the first writer to win the Booker Prize twice; for Life & Times of Michael K in 1983 and again for Disgrace in 1999. J.M. Coetzee is remarkable for bringing Apartheid to global attention. Themes of poverty, crime and bloodshed foreground the post- apartheid literature. Coetzee faces the problem of cultural authority. Being a white South African writer he faced the problem of representing the black population in his novels. He needed to be extra careful in implementing racial divides into a fictional work. The present paper seeks to study the quest for identity in the novel Disgrace by J.M. Coetzee. Identity is pivotal for the existence of humans. 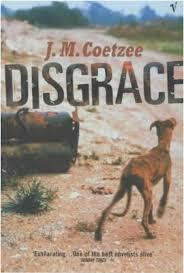 The novel Disgrace is set in the post- apartheid period which was poles apart from the apartheid era. There was a metamorphic change in the socio-political life of the people of South Africa. The old system was replaced with the new one. Although the new government which came to power talked about equality among all but the reality was otherwise. The atrocities and racial discrimination faced by the black people by the hands of white people were avenged in a bitter manner. Power and powerlessness bring about alienation, identity crisis and revolt. The present novel shows the struggle of a white man David Lurie and his daughter in the quest of their lost identity being the victim of racial revolt and sexual assault. In history, throughout the world women have made an important and direct contribution to the economic support of the family. This contribution has always included the processing of food, cleaning and dwelling. 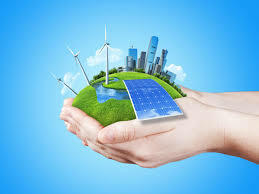 Due to the expansion of economy, industrialization and growth of science and technology with the increase in cost of living, the elaborate mechanization of household equipment, the desire to give higher education to children, have placed pressure on the earning power of male members of the family. Especially in the early years of formation of new families during which men’s earnings would be comparatively low, and during the time that major household equipment is purchased, the strain on many one income families is severe, which in turn, forced women to work a additional bread winner or sometimes as sole supporters of the family. This paper is motivated to see influence of employment on women’s status. Chetan Bhagat frames real pictures of modern women. 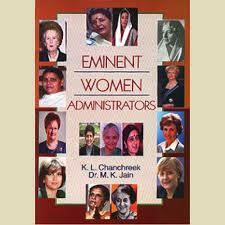 He explores the empowerment of women in education, career, business, politics, family, fashion and society. A study finds a pretty, young and modern female character of novel, Aarti with two main characters of novel like Gopal and Raghav. Her impressions of beauty, intelligence, smartness, innocence admire others. 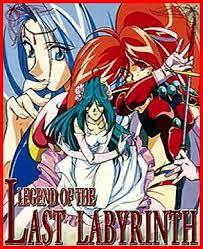 Her love, devotion, friendship, status and appearance attract readers as well as critics. 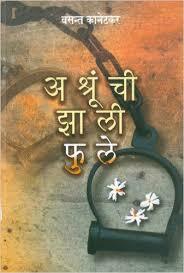 The writer of novel expresses women empowerment through Aarti in realistic manner. He presents her as an educated girl, loving daughter, passionate student, faithful friend and dear beloved. A research finds women empowerment through education which Chetan Bhagat focuses on quality education. Another side, financial freedom also comes to notice in his writing. The inner strength and positivity of Aarti bring sensation in the world of literature. Wayne C. Booth was an American critic. He was educated at Brigham young university, the University of Chicago. He taught English at Haveford college and Earlham college before moving back to the university of Chicago. His work followed largely from the Chicago school of literary criticism. His most recognized book was “The rhetoric of fiction”. “Emotions, beliefs and the reader’s objectivity” is one of the essays in his book “The Rhetoric of fiction”. With the dawn of human civilization we evolved a pivotal way and systematic pattern for communication which we all know as language. In fact, invention(discovery) of language is a prominent signature in the history of human inventions and cultural evolution. 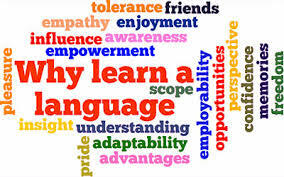 Our language has scientific approach and abundant of words for specific emotions, temper and situation. This is human nature as well to name everything what he or she encounters in life. This might have triggered the beginning of organizing our thoughts and ideas in to words which are meant to be spoken. But there are lot of other different languages also do exist in our life and around us as well. This paper is a sincere attempt to explore and study languages which are beyond words. They exist in form of signs as Ronald Barthes told us and sometimes they are hidden and we need to decipher the meaning. This paper is exhaustive while making a study, there may be some more languages which I could not find but my aim is just to stimulate and encourage more scientific study on the subject which completes our life and life style too. I have tried to study the language of fashion in clothes, language of roads and language in nature. Jaishree Misra is an Indian contemporary author born in 1961. 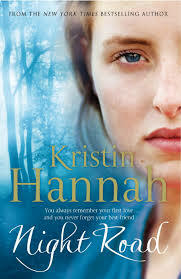 Her literary career took off with the hugely popular novel Ancient Promises that was published in 2000. 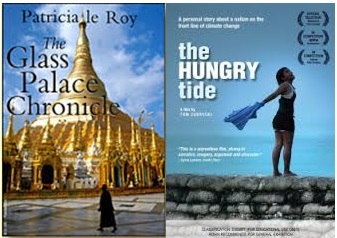 The author’s main focus is on the struggles of women. She projects herself as the representative and perfect spokesperson of the women folk of the present time. Women’s in her novels seem to be a personification of modern women who can be able to face the burden of inhibition they have carried from generation to generation. The family setup of all heroines of Misra is purely patriarchal. Domestic violence is portrayed very well in the novel Afterwards, where Maya with some of her dialogues explicit that how much she is afraid with her husband and arguments with him. Her husband is over possessive and loves her so much but doesn’t give her freedom to talk or to meet with other men. She is not allowed to be social and Misra shows that how women face violence in normal everyday life through the character of Maya and the other heroines of all her novels. Keywords: Feminism, Patriarchy, Human relationship, Domestic violence, Women psyche. 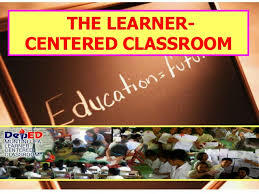 Learner-Centered Classroom is an approach to ESL teaching which focuses on students than on teachers. However, it does not mean that teachers do not have any role to play. On the other hand teachers have to change their role from being dissemination of knowledge to facilitator. This paper analyses the responsibilities of teachers as facilitators. Paul Beatty is an African American novelist and who is the first American to get the Man Booker prize 2016. His works are highly satirical. 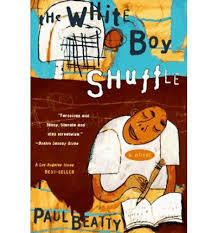 The White Boy Shuffle is his debut novel. As an African American, he portraits images of slavery, loss of identity, race and racial barriers in his novel. His protagonist Gunnar, who is a poet, is in a dilemma throughout the novel. There are many controversies in his life. He appears to be a man of mixed identity and he is often transforms between his identities. The objective of the paper is to project the exhaustion of a pure identity and the emergence of a new corrupted identity. The research tool employed is the concept of ‘hibridity’. Keywords: Culture, identity, hybridity, imitation, and race. The paper emphasizes on using a number of collocation in conversation through task- based approach. Collocation is a phrase that joins two to more words together, giving an appropriate meaning for what we speak. The researcher aspires to test the students’ knowledge on collocation in order to make their communication effective. The researcher tries to examine the tertiary level students whom would be divided into experimental group and control group. Assigning tasks would lead to learn collocation effectively by themselves. Implementation of this methodology in language classrooms would create a good ambiance for students to acquire new things better. Thus the study is made to develop students’ conversation skill by using as much collocation as possible. 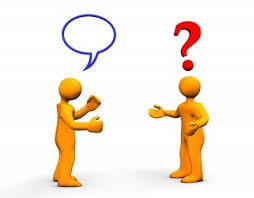 Keywords: collocation, conversation, task, communication and method. The importance of English language can be seen from the East India Company’s arrival but now its importance has increased a lot due to the advance of education in various fields. But unfortunately its teaching methods are the same old which are outdated. Mostly text based teaching is used in Indian schools that is not so interesting. 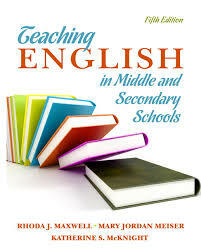 So various new ways of teaching and learning English has been adopted by researcher. In this study using print media such as used in FLU at Hyderabad in teacher training programmes. Using of authentic print media learning strategies will help the students be able to pass competitive exams also. 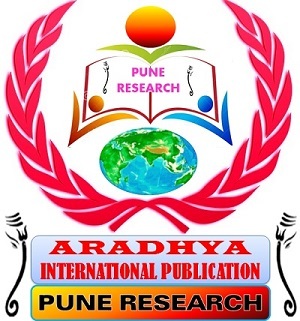 The researcher has used print media as it is easily accessible to all and provides various news related to politics, education, economics, society, sports, culture, commerce, love, marriage etc. with less expensive. The line is universally acknowledged that pen is mightier than the sword, but Steinbeck’s pen is mightier than many swords. Since Aristotle the master of wide subjects, up to the current writers, pen has been the correct weapon both for exposing the conditions of the prevailing society and also for finding remedial steps for getting rid of the ills which beset therein. 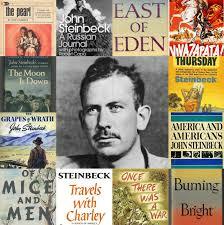 Most of the writers criticize the society, but Steinbeck’s maximum works explicit about the social realism of his age. Key Words: Realism, Migrants, Migration, Socialism. 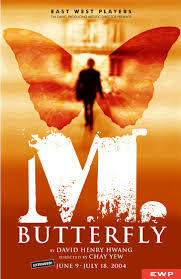 The aim of this paper is to critically analyze the representation of an “orient” in David Henry Hwang’s M. Butterfly. In this drama, gender, racial and imperial discourses intersect and Hwang has been successful in deconstructing these traditional discourses and exposing the fictitiousness of stereotypical image of an orient harboured by the ‘West’. The drama employs postmodernist aesthetics and brilliant theatrical techniques to foreground the deconstruction of traditional representations that follow. Traditionally ‘East’ has always been misrepresented by the west. This misrepresentation is the result of an essentialist view based upon gender and racial discourses. The play also shows how national entity narratives are internalized and adapted in the construction of the individual subject. Key Words: Orientalism, Race, Gender, Identity. 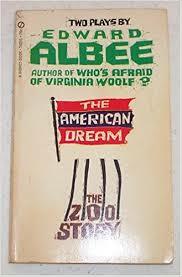 The tragic vision of Edward Albee is very different from the masters of classical tragedies. In the classical drama, tragedy was related to the persons of higher class like kings, queens, generals and courtiers or some other members of the upper class. The reasons of meeting the tragic fate in the classical heroes and heroines were also the serious issues of life. The tragedy occurred either because of hamartia or caused by divine interventions. In the twentieth century the human life is also faced with the serious issues that bring a crisis of different nature, and this crisis in human life is related to the consumerist, materialistic and individualistic social system. In this chapter we have investigated unsteady oscillatory free convective heat transfer through a viscous fluid is a porous medium confined in a vertical wavy channel with quadratic density temperature variable. The unsteadiness in the flow is due to an oscillatory flux in the fluid region with quadratic density-temperature variation. The equations governing the flow and heat transfer have been solved by perturbation technique with d, the slope of the wavy walls as a perturbation parameters. 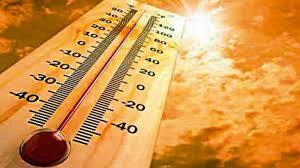 The velocity and the temperature have been analyzed for different variations of the governing parameters G, R, D-1,a, b, x and t. Also the stress and rate of heat transfer are evaluated numerically for different variations of the parameters. Keywords : Porous medium; Vertical wavy channel; Quadratic temperature variable; Oscillatory flux; Perturbation technique. In this study Vegetation of Iron mine showed very sparce and comprises theory scrubs and very few tree species, with Semi-evergreen nature. Ninty four species belonging to 80 genera of 30 angiosperm families were recorded on Iron mine. Eight species showed the highest percentage of presence values on Iron mine Schouwia purpurea possessed the highest percentage of presence, density and higher abundance and higher levels on iron accumulation. As Schouja purpurea is the costant species, it may be considered as a local indicator plant for Iron. 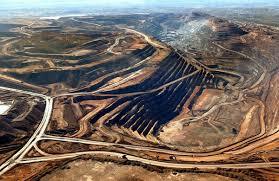 Key words : Iron mine, constant species, local indicator plant. This paper explores the concept of employee engagement by analyzing the impact on the various constructs of organizational behaviour and human resource management. 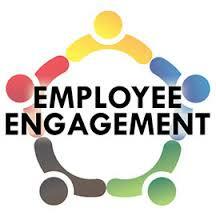 The paper summarizes the study of the impact of various factors affecting Employee engagement and also vice-versa focuses on This paper is based upon review of literature and secondary data collected from various websites, journals, magazines, newspapers and reference books. Literature review has shown prior research work conducted by corporate & consulting firms and also few academic researches in this area.